In a draft letter, Northern Virginia leaders are questioning Metro's rush to make weekend parking fees and some other changes permanent. WASHINGTON — Northern Virginia leaders are questioning Metro’s rush to make weekend parking fees and some other changes permanent. A draft letter due to be discussed next week by the Northern Virginia Transportation Commission (NVTC) outlines concerns that weekend parking fees — which have applied on Saturdays since February — could be compounding declining weekend ridership tied to regular track work. “While NVTC recognizes that there are ongoing revenue and budgetary implications, we have strong concerns about charging fees for parking on weekends,” the draft said. The commission supports Metro charging parking fees on weekends during special events like Inauguration Day, and supports the extended weekday parking fee hours Metro implemented in February as a way to increase revenue and catch people parking overnight. Under the pilot programs that have been extended through the end of the calendar year, fees are charged on weekdays to drivers who exit Metro garages starting at 7:30 a.m. rather than the previous 9:30 a.m. On Saturdays, a reduced $2 fee is charged after 10 a.m.
A public hearing is expected to be scheduled for late September on those and other potential parking changes. The hearing will consider potential changes to parking rates and the implementation of additional ones on weekends, holidays or for special events as well as other broader technology-based or other changes. Metro has also considered privatizing parking operations in the past. Some Metro Board members raised concerns earlier this summer that conclusions have been drawn from the current pilot program without complete data to support them. 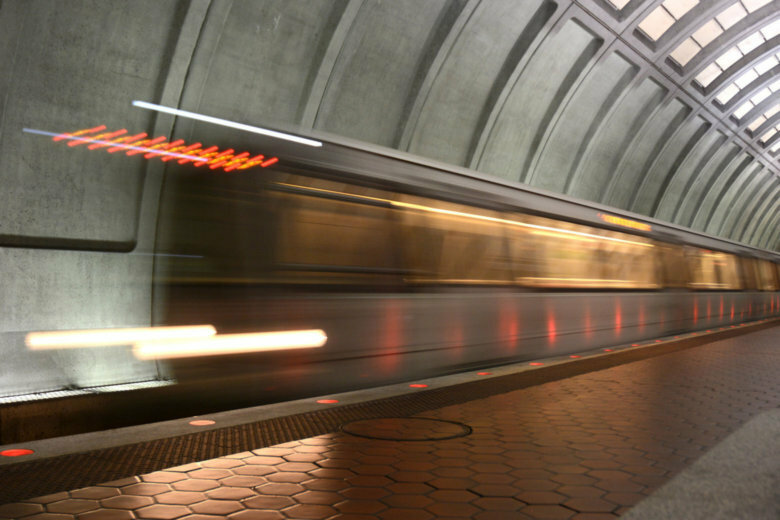 “As you continue to develop a proposal for the WMATA Board regarding regular weekend parking fees and associated rates, NVTC strongly urges you to conduct additional analysis in these areas,” the draft letter said. The commission, mostly made up of elected leaders from across Northern Virginia, is also concerned that Metro’s move to lower weekday parking fees at some stations with emptier garages could simply lead existing riders to park elsewhere rather than drawing in new riders. In July, Metro realized there were hundreds more spaces at Dunn Loring than previously recorded, which meant it was actually among the least utilized garages in Virginia. In February, Metro lowered rates at West Falls Church as part of the pilot program instead. Usage there has increased this year. Other concerns over long-term parking policies include confusion at new Silver Line stations, since Fairfax County and Loudoun County can set their own parking rules for stations from Wiehle-Reston East west past Dulles Airport. Those counties paid (Wiehle) or are paying (Silver Line Phase 2 stations) to build those garages. Weekday parking usage at Metro lots in Virginia was higher in June and July than the same months a year earlier when Metro’s initial rounds of 24/7 track work were just wrapping up. That trend holds even though Metro found hundreds of additional empty spaces in July at Dunn Loring that the agency did not realize it had. Virginia riders looking for parking spaces usually have no problem at any station except Van Dorn Street and East Falls Church which average more users than there are spaces on a typical weekday. The Metro-operated garage at Wiehle-Reston East is also frequently nearly full on weekdays. At the same time Metro implemented the parking pilot changes this winter, it also drastically expanded the number of stations where people who pay to park with anything other than a SmarTrip card just used to ride the rail system must pay a significantly higher rate. The NVTC praised the more recent move to allow regular VRE riders at Franconia-Springfield and MARC riders who regularly use stations with non-rider fees to get SmarTrips through their rail system that allow them to pay the regular rate. “It is our understanding that WMATA is considering exempting Metrobus riders from the non-rider fee so that those riders would pay the regular fee should they park at a WMATA parking facility and ride Metrobus. Given the diversity of transit service providers in Northern Virginia and that WMATA parking facilities are generally under capacity, NVTC supports this direction and asks you to consider or study the concept of extending this exemption to relevant local transit providers that utilize SmarTrip,” the commission’s draft letter adds.